The release of “Captain Marvel” is a second victory for movies led by female superheroes, following the 2017 release of “Wonder Woman” with even bigger accomplishments. Marvel’s newest movie was directed by a woman, and multiple women wrote the screenplay. This allowed the movie to send messages about the source of female power no superhero movie — and arguably no action movie — has sent before. The choices by director Anna Boden and the movie’s screenwriters make “Captain Marvel” succeed in places many Marvel Cinematic Universe movies before it failed, along with delivering the fun, action-packed ride longtime fans have come to expect. Before “Captain Marvel,” superhero movies and other action movies emphasized the strength of their female characters through physical strength and combat prowess, standards traditionally associated with masculinity. Writers felt the need to prove female characters were strong by showing that they possess these qualities just as much as or more than their male counterparts do. 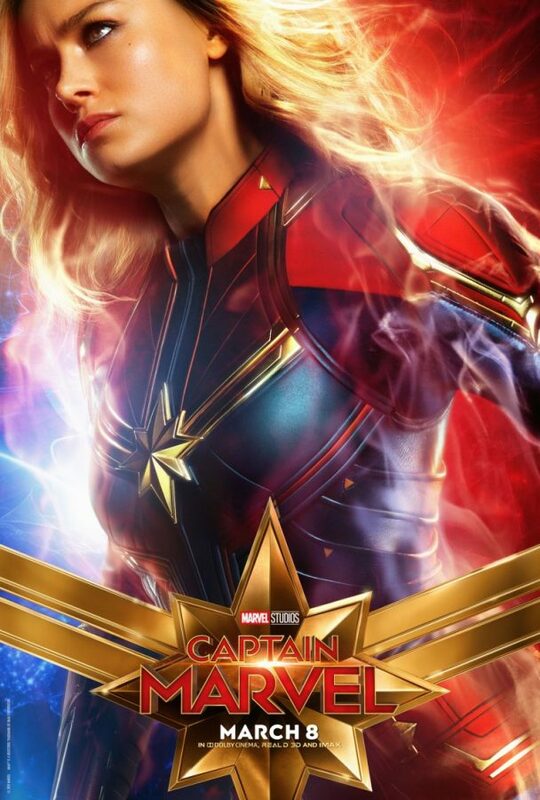 Carol Danvers, also known as Captain Marvel (played by Brie Larson,) and the supporting female characters embody strength through characteristics traditionally associated with femininity. They are emotional, loving and strive for peace. Carol’s male mentor, who trains her to be a Kree soldier, tells her she is not fighting to the best of her ability because she is using her emotions and not her brain. By the end of the movie, however, it becomes evident that Carol’s emotions are the source of her strength. The movie also makes a significant change to Carol’s backstory from the comics. Originally, she is taught much of what she knows and becomes Captain Marvel through a man she works alongside. In the movie, another woman is responsible for this. This sets “Captain Marvel” apart from “Wonder Woman.” In “Wonder Woman,” Diana does exhibit strength through traditionally feminine characteristics, but her passion to fight for humanity in the movie’s final battle comes from what a man, Steve, teaches her. One of the flaws in Marvel’s previous origin movies was the repetitive “big fight” scene at the end of each movie. In every one, the lead superhero fights the lead villain, who has obtained similar powers or abilities. The villain is usually killed. “Captain Marvel” breaks this formula with an interesting twist. It makes viewers rethink how people identify evil and how it should be dealt with. In the part of the movie where the typical “big fight scene” usually takes place, Captain Marvel makes a decision that suggests a fresh, engaging new direction for future movies. The movie’s action scenes are super fun. From thrilling chases to air battles, Carol and her allies do not disappoint. Carol’s unique power debuts in a fitting, entertaining way. The humor in some of Marvel’s movies feels forced, but where it’s present in “Captain Marvel,” it feels appropriate and organic. Samuel L. Jackson, who returns as Nick Fury, provides a lot of this humor while maintaining the presence of SHIELD’s tough, intelligent leader. His fun personality adds an interesting element to his character. Larson does a great job at bringing Carol Danvers to life in the Marvel Cinematic Universe. Six years before the start of the movie, Carol lost her memories and was transformed into a Kree soldier. She is lost and confused, and Larson makes audiences feel it. Annette Bening and Lashana Lynch gave striking, emotionally resonant performances as two of Carol’s close friends. “Captain Marvel” suffers, however, from moments that feel rushed and the lack of scenes showing Carol’s past on Earth. A fully fleshed-out movie would make its lead feel more relatable and human. Captain Marvel is part of a larger universe, however, so this is fixable. Characters such as Captain America and Thor have developed over their standalone movies. Writers will likely do the same for Captain Marvel. To make an accurate judgment about “Captain Marvel,” it needs to be recognized as a stepping stone to a larger future for Carol Danvers and the Avengers. The successes of “Captain Marvel” outweigh its flaws, bringing an exciting and promising addition to the Marvel Cinematic Universe.